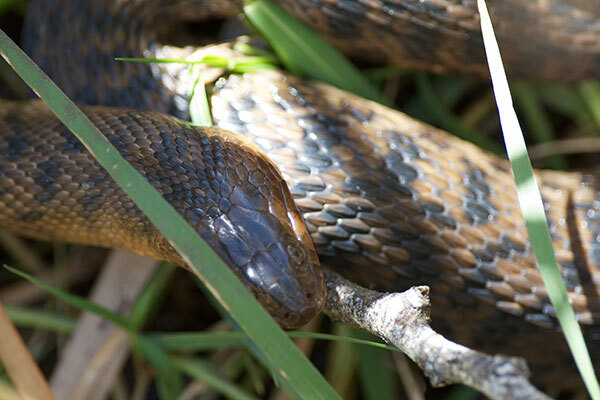 This is a large, ill-tempered, and dull-colored species of water snake. On cool mornings like this one, they often spend their time basking in bushes a few feet above water. If they get spooked, they drop into the water to make their escape. I took this photo looking straight down from a roadside viewing platform. 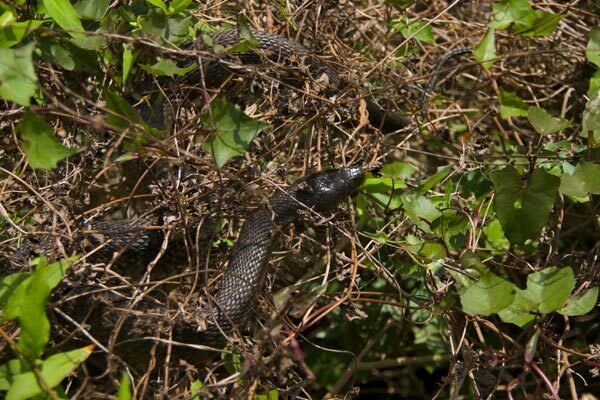 The Florida Green Watersnake is not particularly green; most individuals have just a hint of greenish tint. 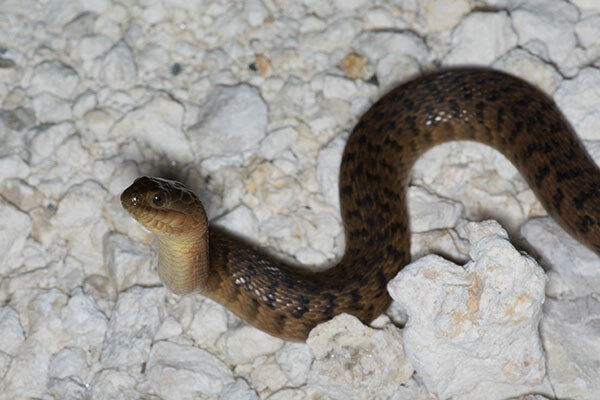 This small Florida Green Watersnake was crossing the road at night. When it saw me trying to take photos, it raised its head up in a vaguely cobra-like fashion and tried to look tough. It probably is, in fact, tough.